To create a Geometry object we make use of the GeometryFactory provided by JTS. GeometryFactory has a bunch of create methods that take Coordinate instances (and arrays) and wrap them up in the appropriate instance of Geometry. The OGC Simple Features for SQL specification implemented by JTS works with Point, LineString and Polygon. Each Geometry can be contained in an Envelope (acting as a bounding box that contains all the geometry coordinates). 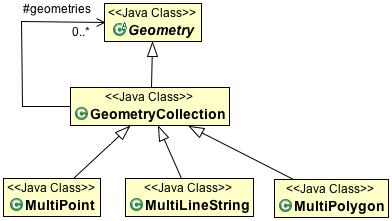 The OGC Simple Feature for SQL specification also provides support for GeometryCollections. GeometryCollections are themselves considered a Geometry. You can create your own GeometryFactory with a specific PrecisionModel and CoordinateSequenceFactory. These “advanced” configuration options are interest if you need to take charge of how the coordinates are stored (perhaps as floats rather than doubles?) The two concepts work together: if you are storing your coordinates in an array of floats, then JTS only needs to consider float precision during calculations. The GeometryFactory created by default works just fine. GeoTools extends these core Geometry classes to allow support for curves. These implementations generate coordinates allowing them to act as normal JTS Geometries (as required for JTS Operations). The linearization process used to generate coordinates makes use of the control points defining the curve and a tolerance provided by a CurvedGeometryFactory. If you need to represent many points (perhaps fence posts forming a fence) you can use use a MultiPoint. 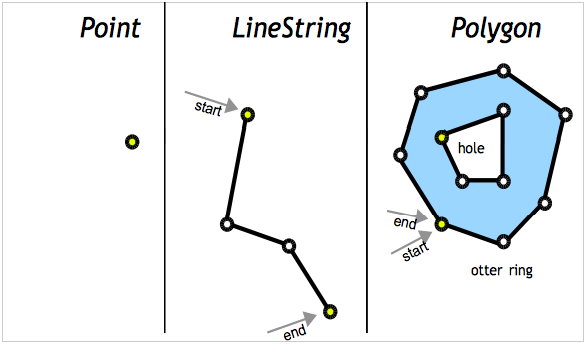 If you need to represent a line with gaps in it you can use a MultiLineString. You can also create a Polygon will holes in it. And once again use a MultiPolygon to represent a single geometry made up of distinct shapes. The circle arc is defined between coordinates 10,14 and 14, 10 passing through point 6,10. The example uses a PackedCoordinateSequence allowing an array of doubles to be used directly. Curve support is limited to 2D coordinates. A CircularLineString is returned in this case, a CircularRing would be produced if two or more curves were provided form a closed ring. A CompoundCurve (or closed CompoundRing) consists mix of CircularString and/or plain LineString components. The JTS Topology Suite does not have any constructs to represent a “curve” or “circle” - GeoTools added that as an extension. The mathematics used by JTS is strictly limited to geometry made up of straight (i.e. linear) lines. 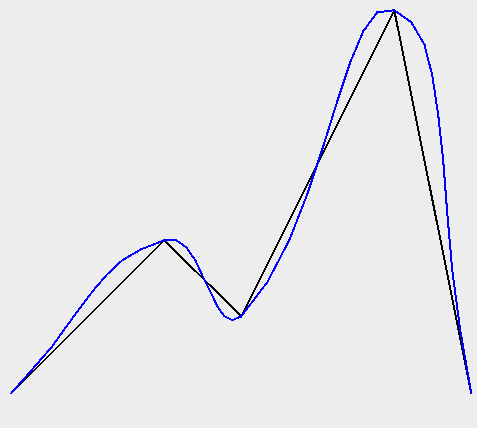 The GeoTools curve implementations rely on using control points to define a curve, and converting it to a straight lines at the last possible moment. Curves can also be produced by hand using a little bit of math. Even though “GeometricShapeFactory” is provided out of the box from JTS; there is nothing fancy about the code. It creates a series of coordinates in a circle. 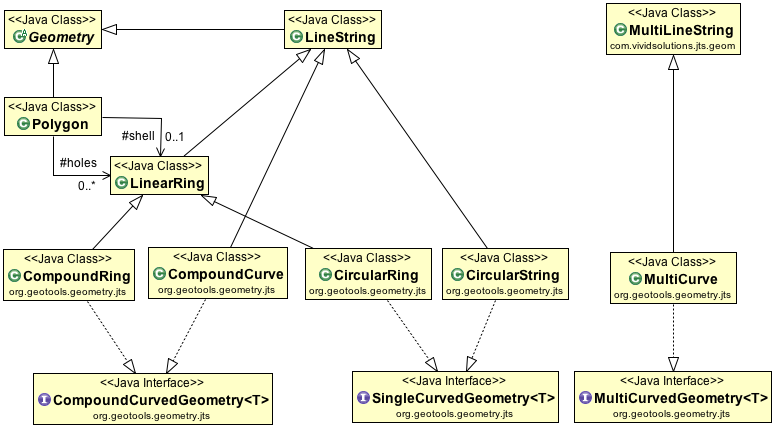 Another approach is to create a curve or shape object with one of Java’s handy Shape classes and then extract the coordinates from that object to create your geometry. Sometimes you need to generate a smooth curve that is guaranteed to pass through a specified set of points. The tried and true approach here is to use a spline function. This generates a set of polynomial (cubic) curves, each of which fits a part of the data and joins smoothly to its neighbouring curves. * input points as vertices. * can be in the range 0 (loose fit) to 1 (tightest fit). Using Geometry is pretty straight forward, although a little intimidating when starting out due to the number of methods. getUserData() - intended to be used by developers, a best practice is to store a java.util.Map. GeoTools will occasionally use this field to store a “srsName” or full CoordinateReferenceSystem. Code that makes use of Geometry ends up doing a fair amount of “instanceof” testing in order to determine what kind of Geometry is being used (to take appropriate action). 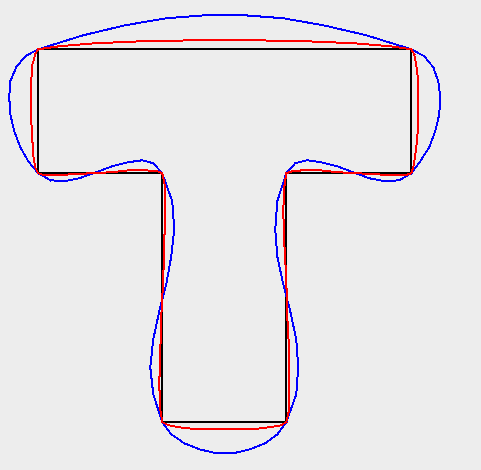 Out of the box JTS works with a default double precision model. 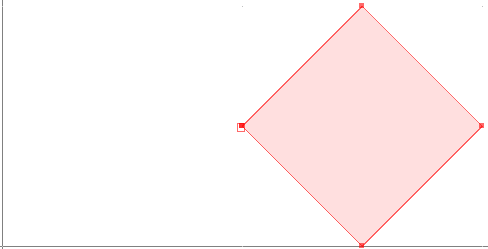 Configuring your GeometryFactory with a PrecisionModel allows you to work at a different resolution than this default. PrecisionModel forms the heart of “numerical stability” when working with Geometry. When working with large values the mathematics built into Java are not very accurate. By explicitly capturing the “round-off” process in a PrecisionModel JTS allows to manage these sorts of errors and make an appropriate tradeoff of speed vs accuracy for your work. Round-off often occur, even when working in double precision. Especially if you are working in a coordinate system with big numbers and you’re a long way from the origin. The other reason to look at PrecisionModel is to ensure it matches your final use for your data. If you know you are only going to display an answer on the screen, you may be able to get by with reduced precision. By matching the PrecisionModel with your expected use, certain long running operations (that need to converge on an answer) can stop when they have reached the level of detail you expect. No sense doing extra work for more significant digits if the result is going to be rounded off at the end of the day. The following code example takes into account that the location being passed in was only supplied as a floating point value x/y. We handle this by creating this test point with a GeometryFactory that takes a PrecisionModel argument. The test point will be flagged as having a certain limited precision and all JTS operations will take this into account. This is an advanced feature that is not often used. You may wish to provide a custom CoordinateSequenceFactory for reasons of efficiency and/or reducing memory use. Internally Geometry often works with Coordinate. However many of the spatial formats used for JTS will store values as a flat double or float for efficiency. By implementing a CoordinateSequenceFactory GeoTools can teach JTS how to handle the values directly out of a shapefile for example. Some of the code examples used above reference the JTS utility class. This class is provided by gt-main module; and contains many helpful methods for working with Geometry.